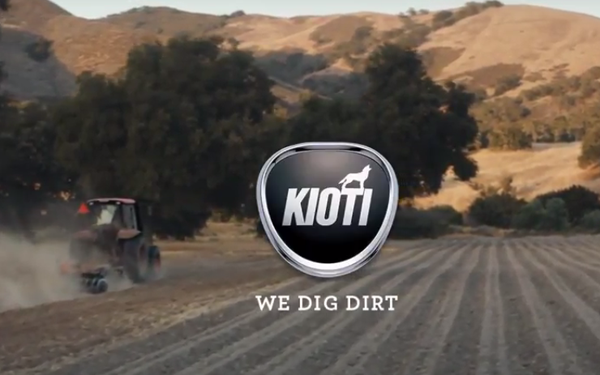 “We Dig Dirt” says KIOTI Tractor in its latest ad campaign — and the company isn’t kidding. In two different spots, KiOTI turns a vice — being dirty — into a virtue. One ad reframes “the phrase ‘we’re going to treat you like dirt’ to now reflect the highest form of respect,” according to Peter Dong-Kyun Kim, president and CEO of Daedong-USA, Inc., KIOTI Tractor Division, in a company statement. The Wendell, N.C.-based KIOTI “aimed to create something to not only catch attention and stand out, but speak to the farmers, hobby farmers, tradesmen and women who actually live this life,” the company notes. The campaign, by Raleigh-based creative agency Baldwin&, will roll out in TV, print, social media, and banner ads across digital properties.